Social Security and Prudent Financial Planning: Friends or Foes? August 14, 2010 marked the 75th anniversary of Social Security, and since then national political debate has been heavily focused on the future of the program. Democrats wish to paint themselves as the sole champions for the working and middle class by opposing Social Security reform and reviling Republicans who even suggest that seniors don’t deserve the greatest income benefit possible. Republicans are digging their heels into the facts and figures surrounding the fiscal folly of a government-controlled ponzi scheme doomed to fail. Paul Krugman’s inflammatory column in the New York Times calling conservative concern for the future of Social Security “nonsense” has fueled even more heated debate in the blogosphere and on social networking websites. Everybody is concerned about Social Security these days. Debthelp.tv reported in 2009 how an SSA press release revealed that “program costs will exceed tax revenues in 2016” and “the combined assets of the Old-Age and Survivors, and Disability Insurance (OASDI) Trust Funds will be exhausted in 2037”. The current debate ensues over what these numbers really mean and whether or not Americans should consider Social Security to be stable and dependable or at a crisis status. Unfortunately, very few economists and financial analysts are making mention of the fact that a heavy dependence on Social Security benefits is not prudent financial planning, regardless of the stability of the program. 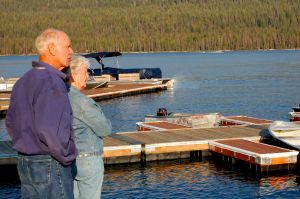 The National Academy of Social Insurance released a brief in May 2007 confirming that American retirees are not receiving proportionate income replacement when they depend on Social Security for their livelihood. According to NASI, retirees need to replace 70-80% of their income in order to maintain their quality of life, but Social Security benefits only replace about 40%. Furthermore, most American retirees depend on Social Security benefits for at least 66% of their retirement income, with SS benefits accounting for 80% among seniors in the lowest wage earning bracket. Any retirement fund that replaces less than half of the pre-retirement income should be supplemental, not a primary income source! Yet, Washington is consumed with taking sides on the issue of reform instead of educating the public on how to do more toward securing their retirement through sound investing, savings, debt reduction, and entrepreneurship or other income supplement. Financial literacy is the real issue here, and too many Americans are so busy arguing about and depending on Social Security benefits that they miss the truth about how well these benefits can actually sustain retirees. Whose responsibility is it to plan for your financial future, and how heavily should anyone rely on government to secure their income replacement? No matter how you crunch the numbers, replacing income is hard work, and it would be wise not leave such a crucial function to the wits of elected officials who will retire well whether you do or not. I Thought I Bought A Foreclosed Property, but In Fact I Bought a Worthless Piece of Paper! As you might imagine, with the nation in the grips of a foreclosure epidemic, banks are very eager to unload mortgages gone bad. They'll do whatever's legal to recover whatever they can from a foreclosed home. Doing what's ethical? Irrelevant! Take, for example, the Strand family in California. They took close to $98,000 out of their paidoff house and bought what they thought was a foreclosed property at a courthouse auction. In fact, they bought a second mortgage -- a useless piece of paper -- and were left with virtually no recourse. The Strands were smart enough to get the media involved, which, of course, led to the bank suddenly being open to negotiating a settlement. Click here to read the full story. It's a good read. 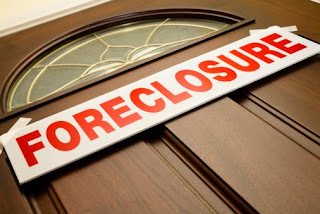 Fore some good tips on purchasing a foreclosed home, visit this page.